- The fifth season of The Late Live Show starts Saturday September 1 but this year, it&apos;ll be at 8 pm. They have a Kickstarter. - Reminder: Chicago Opera Theater is doing The Magic Flute this fall. "This is the first new production of The Magic Flute in Chicago in 17 years, the last being Chicago Opera Theater’s production in 1995 at the Athenaeum Theatre." It&apos;s the first time an English translation by Jeremy Sams has been put up in Chicago, and it&apos;ll run September 15, 19, 21 and 23 at the Harris Theater. 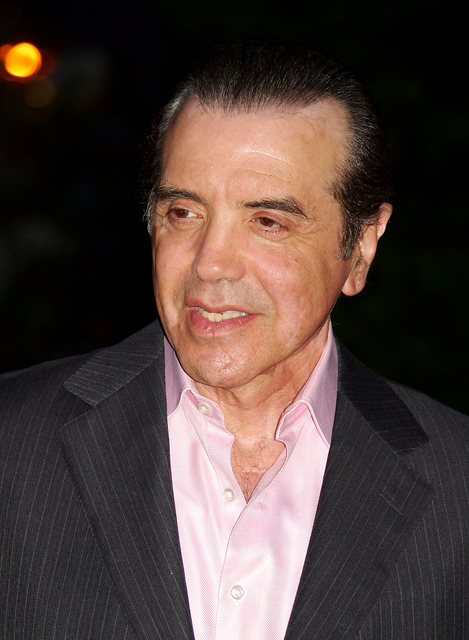 - Actor Chazz Palminteri will be performing in a free performance of the new play Unorganized Crime by Kenny D&apos;Aquila. It&apos;s Monday, August 6, 2012 at 7:30 p.m. at the Victory Gardens Biograph Theater. You have to make a reservation to get the free tickets though, so email AintForDummies@gmail.com. I recognized Palminteri from The Usual Suspects, where he played the U.S. Customs agent who is duped, but he was also nominated for an Oscar for the Woody Allen movie Bullets Over Broadway. - Drury Lane Theatre&apos;s 2013-13 season (we&apos;re there already?!) includes Oliver!, Boeing-Boeing (a favorite of mine), Next to Normal, Hello, Dolly! and Young Frankenstein. Lots of exclamation points! Remember, this means the first production doesn&apos;t open unli April 2013. So, this coming spring, for those getting turned around. Correction: This post originally inaccurately depicted the status of COT&apos;s The Magic Flute. It will be performed as usual.